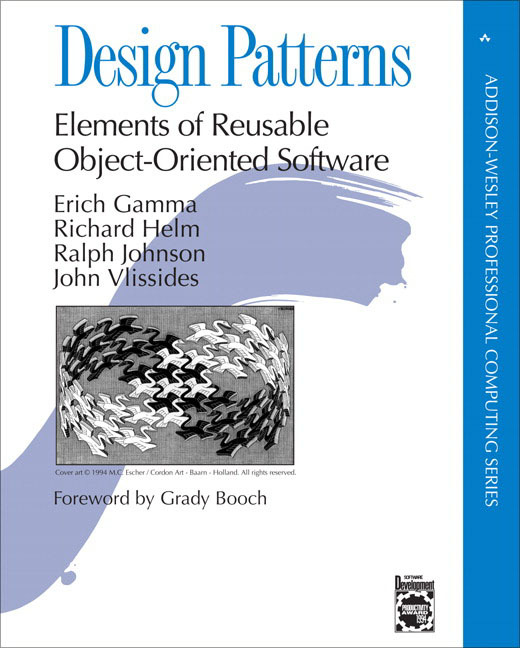 What Is a Design Pattern?Design Patterns in Smalltalk MVC.Describing Design Patterns.The Catalog of Design Patterns.Organizing the Catalog.How Design Patterns Solve Design Problems.How to Select a Design Pattern.How to Use a Design Pattern. Design Problems.Document Structure.Formatting.Embellishing the User Interface.Supporting Multiple Look-and-Feel Standards.Supporting Multiple Window Systems.User Operations.Spelling Checking and Hyphenation.Summary. Abstract Factory.Builder.Factory Method.Prototype.Singleton.Discussion of Creational Patterns. Chain of Responsibility.Command.Interpreter.Iterator.Mediator.Memento.Observer.State.Strategy.Template Method.Visitor.Discussion of Behavioral Patterns. What to Expect from Design Patterns.A Brief History.The Pattern Community.An Invitation.A Parting Thought.